Wellington is not a place known for comfortable temperatures at any time of the year; today was no different. It was the day of my camp and I was ready! So was the colossal ball of conflagration known as the sun. Instantly, upon leaving the cool comfort of an air-conditioned car, I was slammed by a wall of stifling heat, void of any humidity. Like a child having to leave for school in the morning, I trudged over the crunchy sand to heave the many well-worn bags into a fleeting spot of blissful shade, taking each chance to drown my rapidly parching throat in horrifyingly lukewarm water. By the time we had finished unpacking the sweat was gleaming off me like a mirror in the sun, soaking into my shirt in a similar fashion to how my eyes were absorbing the unspoiled landscape placed before me. Vast stretches of verdant trees on one side, the charcoal skeletons of their unfortunate brethren on the other. It was a quiet bliss, only spoiled by the crunching of boots on the hard-baked ground beneath me. Birds chattered in the distance as a light breeze picked up, gracing us with a gentle touch laced with a cloud of fine dust which adhered to our gooey skin. Aromas of sand invaded our nostrils, reminding us of just how barren our campsite was. A rocky patch nestled between several rugged pine trees was the location for a pioneering table to be built. Lashings were made and tightened to the point of gruesome cracking noises from the smooth wooden staves and grunts of pain from the raw rope burn on my hands. The completed frame looked wonderful, but it still needed a table on top! Heaving with my upper body I lugged the scorching grey metal table with its creaky legs onto the frame and viola, our workspace was finished and the reflection glared in the waning summer sun. Orange light spilt through the skies as the sun plunged below the wooded horizon and the air settled down allowing the gentle scent of pine trees to fill the air. The comfort of sagging temperatures was almost immediate, sighs of relief were released all around. A vote was held about swimming, and a unanimous result led to us trekking up the hill towards the dam. Clapping flip-flops followed us up the steep slopes which exerted some strain on our weary legs. But it was all so worth it because nestled between emerald green trees, was our rounded reprieve. A grey cement dam illuminated by the filtered sunlight of dusk. Kaploosh! The sound of a tremendous splash filled the air when we all barrelled into the murky water. Every inch of skin enveloped in a cool watery blanket in which we couldn’t see a thing but could feel the coarse cement bottom under our toes. Sweaty slime was purged from our bodies in the aqueous abyss in which we were immersed, gentle ripples lapped against our sun-kissed shoulders and echoed against the low walls of the pond. Thanks for a brilliant 4th quarter guys! Kudus upheld their great tradition of excellence. This quarter the patrol helped with the construction part of my Springbok journey. We constructed a permanent gateway to the new campground area that the troop is building. 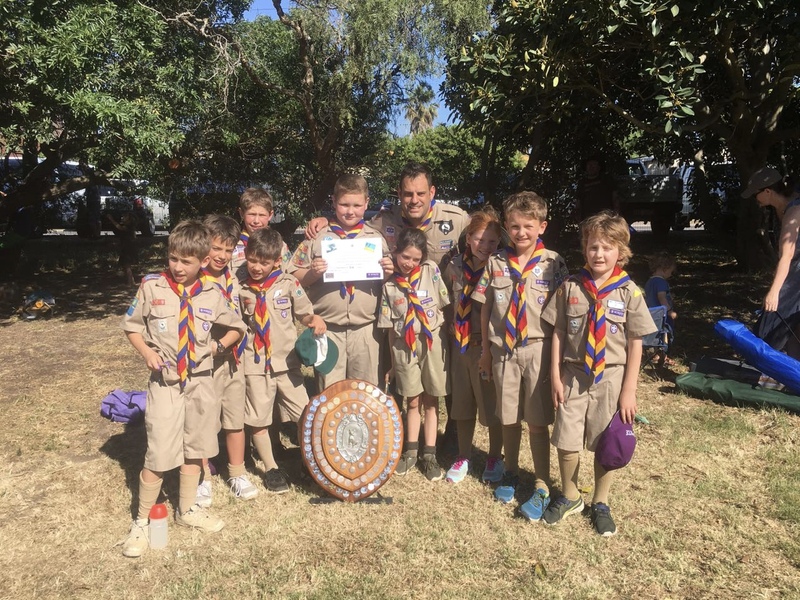 The 1st Durbanville Cubs outdid themselves when they won the annual regional Edward Shield competition in the Strand. 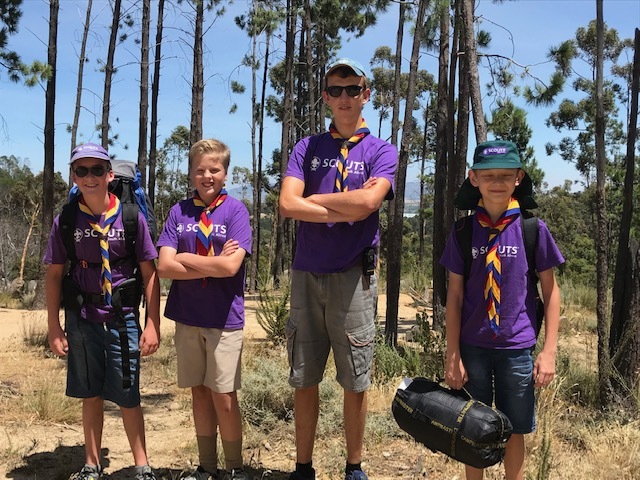 The 1st Durbanville Scout Group is part of the Kanonkop District in Cape Town, Cape Western, South Africa. Scouting is a worldwide youth development organisation. It develops young people socially, gets them involved in the community, and teaches them many life and leadership skills. Our troop is over 50 years old and has both boy and girl scouts. 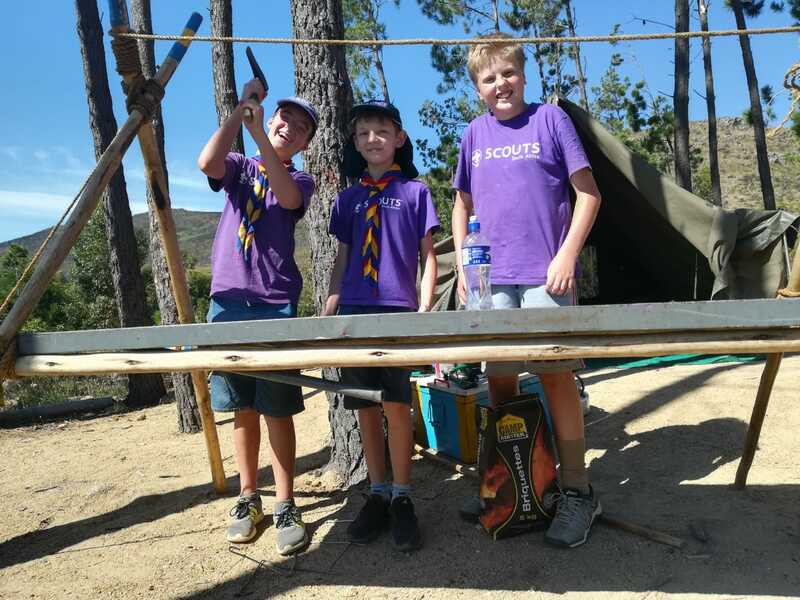 The Durbanville Scouts are a very strong team and feature well in most of the Scout competitions. Please sign our guestbook while you are here. Ever wonder how 1st Durbanville started?